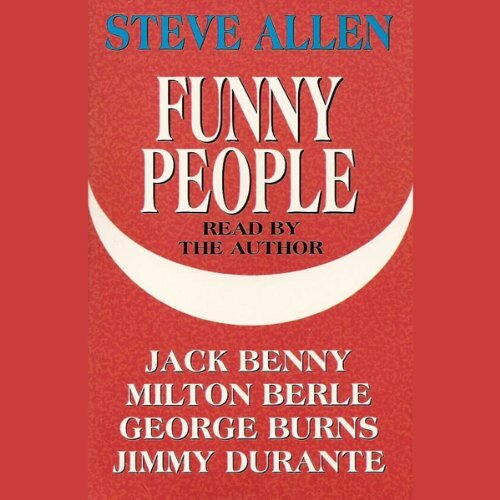 Showing results by narrator "Jimmy Durante"
In Funny People, Steve Allen conveys by anecdote and example the unique genius of four of the great comedians who have delighted our lives: Jack Benny, George Burns, Milton Berle, and Jimmy Durante. Laugh along with Steve Allen in this witty and perceptive exploration into comedy and comedians. Steve Allen, who has written best-selling books on lots of subjects, has now written one in the field for which millions of Americans consider him to be the longest reigning authority. 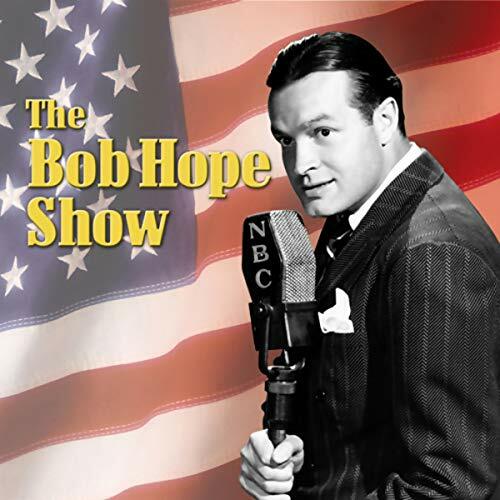 This episode of Bob Hope's classic NBC radio show originally aired on December 4, 1945. 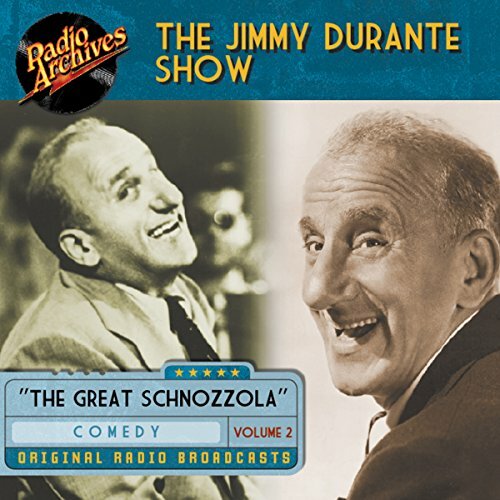 Big-nosed, brash, and boisterous, beloved entertainer Jimmy Durante parlayed a career in vaudeville, nightclubs, and Broadway shows into a radio career highlighted by many successful programs throughout the 1930s and 1940s. 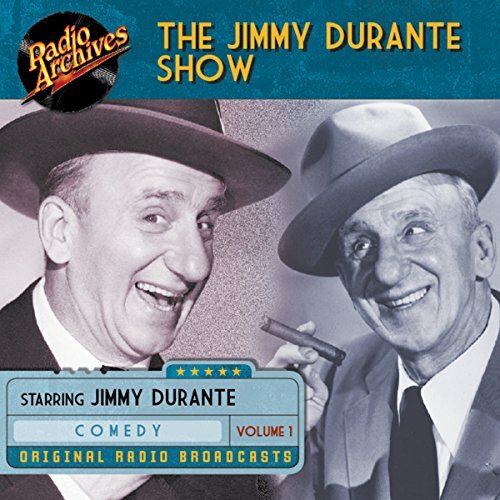 This collection features five episodes of the classic NBC radio show starring Bob Hope: Jimmy Durante, David Niven, From Bob's Hometown, Desi Arnaz, and Lucille Ball. Who knows how to make you laugh? The Nose Knows! Here's the one, the only...Jimmy Durante! And he brings you his distinctive blend of raucous slapstick and aggressive wordplay, overlaid with just a touch of lovable sentimentality. Here are 16 half-hour broadcasts of boisterous fun, featuring Arthur Treacher, Victor Moore, Candy Candido, and Peggy Lee. And you'll hear a whole barrel of famous guest stars, including Lucille Ball, President Harry Truman, Dorothy Lamour, Van Johnson, and more! 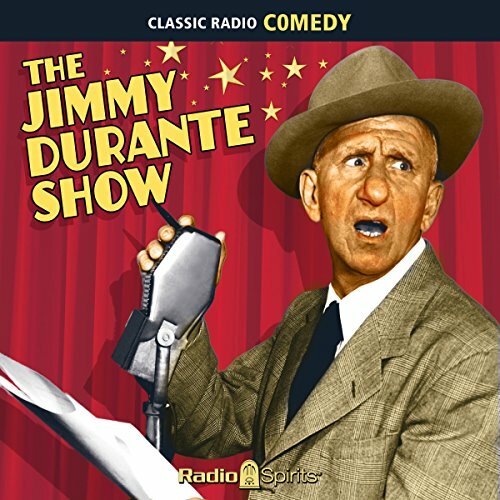 Big-nosed, brash, and boisterous, beloved entertainer Jimmy Durante parlayed a career in vaudeville, nightclubs, and Broadway shows into a radio career highlighted by many successful programs throughout the 1930s and 1940s. 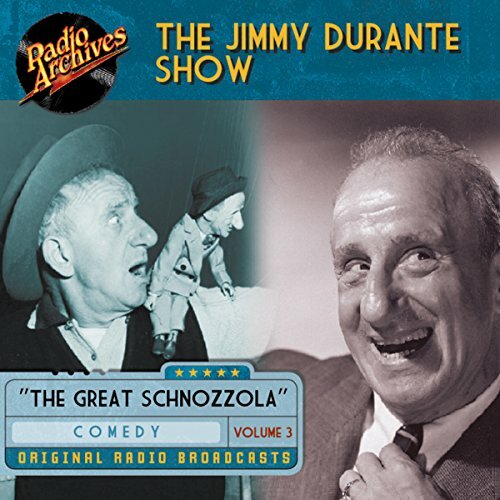 After spending the war years paired with crewcutted comic Garry Moore, the Great Schnozzola went solo in 1947 in a hilarious series for Rexall Drugs that also featured Arthur Treacher as his sarcastic British butler and multivoiced character comedians Candy Candido and Elvia Allman.